We all have our own opinions about what ought to be happening in the Church. "If only the Pope would do this," or "If only Bishop so-and-so would excommunicate this guy," or "If only they'd make a rule about this." You know what I mean; our wish-list of things the Holy Spirit would get done to help move the Church along a little closer to where it needs to be. In this post, I will share with you twelve realistic reforms the Church could implement right now that I believe would make a world of difference. I say twelve realistic reforms; I have intentionally omitted things that are so improbable that they will most likely never happen (abolishing the Novus Ordo, Pope firing every bishop in the world, and, sadly, the Consecration of Russia). The twelve reforms I am proposing here are very realistic and could theoretically be implemented at any time without too much of a shake up. These are things we could reasonably hope for. I offer them in no particular order, but I do invite you to share your own ideas for realistic reforms in the combox. The pope ought to issue a motu proprio regulating certain aspects of how Holy Communion is received. The first part of this motu proprio should extend the Eucharistic fast to three hours. The current one hour fast is so easy that, if you drive more than 25 minutes to get to Mass, you can pretty much eat right up until the moment you get in the car and still technically keep the fast. The fast ought to be extended to restore some discipline and remind people that reception of the Eucharist is something that needs to be intentionally prepared for. The second aspect of the motu proprio should deal with the manner of reception. It should highlight abuses that have crept in due to irreverent reception of our Lord and proceed to revoke all the indults for reception standing or in the hand, regional episcopal conferences notwithstanding. Reception in the hand has only been the norm for thirty years or so, and it would not be a stretch to say that the experiment has failed and mandate the return to the older practice, with no concessions granted to any episcopal conference or region (though of course with personal concessions for the very elderly, handicapped, etc). Rather than just saying that Latin is to be "retained", the Pope should mandate that Bishops see to it that every diocese provides at least a full two years training in Latin for all seminarians without exception to region. Furthermore, the language in Sacrosanctum Concilium about Latin being "preserved" should be strengthened and supplemented with another motu proprio that specifically says that Latin is to be exclusively utilized for all fixed parts of the Mass and for the Roman canon especially. There needs to be no ambiguity here, no phrases like "the use of the Latin language is to be preserved"; this motu proprio should say, "Latin is to be the exclusive language of the Mass", at least for the fixed parts. Pope St. Pius X famously restored Gregorian Chant with his famous motu proprio Tra Le Sollecitudini. Unfortunately, it needs to be restored again, since the "pride of place" envisioned for it in Vatican II has clearly no materialized. Basically, another authoritative instruction like Tra Le Sollecitudini needs to be issued, which specifically says Gregorian Chant is the official music of the Roman rite and simultaneously bans certain instruments by name, including and especially drums and guitars, but also keyboards and pianos. This document needs to not only say what the ideal is, but say what is forbidden as well. The Pope should also ask bishops to take the lead in implementing this directive in their cathedrals and encourage them to generously assist priests who need help implementing Gregorian Chant. For more on Tra Le Sollecitudini, see here. A general instruction should go out giving every parish one year to move the tabernacle back to a central location, and this central location should be unambiguously identified as the center of the altar, preferably a high altar. The purpose of this should be stated as to encourage greater devotion to our Eucharistic Lord, but also to facilitate the ancient and venerable practice of offering Mass ad orientam, which the instruction should heartily encourage and declare to be the norm for the Roman Rite. In 1978, the CDF under Pope Paul VI issued a document entitled "Norms of the Congregation for Proceeding in Judging Alleged Apparitions and Revelations." This document laid down the norm that "the competent ecclesiastical Authority can intervene to authorize and promote various forms of worship and devotion" within his diocese, and that "the foremost authority to inquire and to intervene belongs to the local Ordinary." This has generally been taken to mean that a Bishop is the final arbiter of the legitimacy of a private revelation within his diocese, unless he petitions the Vatican to investigate. Still, this instruction is much ignored and does not have real teeth. A reaffirmation of Paul VI's teaching should be issued with a greater emphasis on the role of the local Ordinary. I've even taken the liberty of composing the wording it should incorporate. The document ought to say, "The foremost authority to inquire and to intervene belongs to the local Ordinary, in such a manner that what the Ordinary approves is considered approved, and what he condemns is considered condemned by the Church." This would take the wind out of the sails of Medjugorje, Garabandal and a lot of these other false movements. This would be the easiest reform because it would simply entail that the Pope do nothing. In order to stop confusing other religions about how we view them, as well as to stop confusing the faithful and scandalizing other Christians, the Pope and Bishops should cease participating in any interreligious events. No more Assisi gatherings. No more messages from the Pope on the occasions of Hanukkah of Diwali. No more visits to non-Christian shrines. The Pope should set himself off as the pastor of Christians alone and refrain from attending any more of these sorts of functions. If he insists on having representation at them, an official of Vatican City representing the Pope in a diplomatic sense as a head of state would be more appropriate. 3) The primary purpose of Catholic missionary activity is to win souls for the kingdom by formal entry into the Church through baptism as the normative means of salvation. This need no go back on anything the Church has taught prior about baptism of desire, invincible ignorance, but is should reinforce the traditional teaching of formal membership in the Church as normative for salvation. Another encyclical should be written on the angels and the devils, affirming the literal existence of each as personal beings who are pure spirit. This encyclical should serve as a primer on classic angelology and should call for each Bishop to maintain not one but at least five exorcists per diocese and to have recourse to them when diabolical influence is discerned. 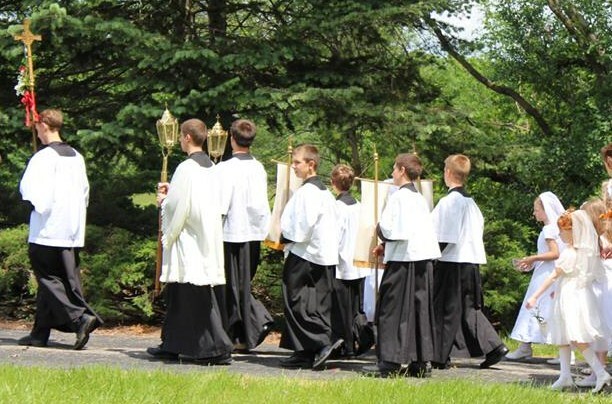 I am not sure about the best forum for introducing this, but given the mass apostasy of the traditional orders, the Pope should make a sweeping call for a new generation of religious orders. He should emphasize discipline, celibacy, devotion to the Church and the Pope, and the wearing of traditional habits. Such a request from the Pope would result in thousands of new vocations in dozens of new orders and most likely reforms or reformed spin-offs of existing orders. When Vatican II and John Paul II called for new lay movements, we got a whole slew of them; a similar upsurge of enthusiasm would happen if the pontiff were to make an impassioned call for new religious who were faithful to the Pope and wore their habits. This call could even take place within the context of the encyclical on missions mentioned above. Or at least some other kind of oath in which seminarians, theologians, pastors and anyone involved in teaching or theology pledge to avoid certain specifically defined errors endemic in modern Catholicism. 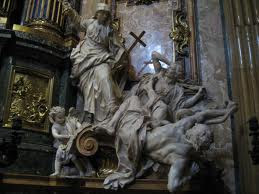 Some may place this in the realm of the implausible, but I am not suggesting a full and immediate return to papal coronations, the sedia gestatoria and all that - not because it wouldn't be awesome, but because it just wouldn't happen like that. The Pope should begin wearing the triregnum on certain occasions just to bring it back into people's minds; perhaps the Feasts of Peter and Paul, the Chair of Peter and a few other select occasions. This would not be too controversial, and would in fact be quite appropriate and could set the stage for a hearty dialogue within the Church about the papal tiara. Ideally, its use would gradually be extended after the Pope had brought it out a few times. I do believe this is probably the most important of all. Benedict XVI identified the hermeneutic of rupture as a major problem in how the modern Church views Vatican II. Towards the end of his pontificate, he even said that the true Council had been swallowed up by a "Council of the media" that obscured the true vision of the Council Fathers. If this really is the case, then why not issue some interpretive norms for the documents of Vatican II so there is no room for theologians to posit theories of rupture? The CDF already did this in their 2007 document on the phrase subsitit in from Lumen Gentium (see here). The purpose of this clarification was to ensure that Lumen Gentium was interpreted in continuity with previous teachings on the Church, such as Mystici Corporis. Sadly, interpretive norms are needed not only for one phrase in one document, but for the entire Council. Dei Verbum on biblical inspiration. Gaudium et Spes on the Church in relation to the world. Dignitatus Humanae and Unitatis Redintegratio especially need to be clarified in a manner continuous with pre-Conciliar teaching, as does Sacrosanctum Concilium. Or what about Ad Gentes on the Church's missionary mandate? There needs to be a series of norms for reading these documents that say, "If you construe Dignitatus Humanae to mean X,Y, or Z, you are missing it." It is so obviously needed, and it is extremely frustrating that this has not yet been done, since Benedict XVI stated very clearly that the Council has basically been hijacked since day one. Such interpretive norms would provide pastors, bishops and everyone else the firm Magisterial standing they need to permanently lock up the Spirit of Vatican II with all the other evil spirits in the underworld. I was hesitant of including anything about the EF Mass in here, frankly because I am just not certain how realistic it would be to expect anything more from the Magisterium in the near future about it. But, if I were to add something about the EF Mass, I suppose I would say that the Pope should ask bishops to see to it that every Catholic parish has an EF Mass made available at least once per month. With the average parish offering anywhere between 35-45 Masses per month, mandating that one of those be offered in the EF is not a very radical gesture. It would introduce many more people to the riches of the old Mass and would undoubtedly bear fruit. What realistic reforms do you think could be implemented right now that would help Holy Mother Church? Remember, they must be realistic - things you could actually imagine a real Pope implementing. Today is the Feast of St. Boniface of Germany, who is half-way the patron of this blog. I say half-way because my profile picture is actually of Pope Boniface VIII, not St. Boniface, and the blog title "Unam Sanctam" is a reference to the famous 1302 Bull of Pope Boniface VIII. But, since Dante put Boniface VIII in hell, I like to hedge my bets and claim St. Boniface as my co-patron. I have been very busy lately, but have managed to get a few great articles posted over on the new website. I would especially like to draw attention to a post on alleged Contradictions in the New Testament that I worked for a long time on, and you will see why when you read it. I have made it a point over the years to address concerns about alleged contradictions of discrepancies in the Bible; whether synthesizing Resurrection appearances, dealing with the problem of genocide in the Book of Joshua, or whatever. I have noticed that it is a given among atheists and skeptics that the Bible is "full of contradictions", which is something I have always taken umbrage at, since in 19 years of intensive Bible study I have never run across what I consider to be a true contradiction. Well, earlier this week in a conversation with a friend about the uniqueness of the mediatorship of Jesus Christ, some smarmy skeptic posted some link to a site that claimed to find "194 Contradictions in the New Testament" and I thought, "That's it. I'm taking these down." I spent the next several days refuting every single alleged contradiction; the result is this post. Please share with all your skeptical friends. I will get Part 2 and 3 up when I can. The Exorcism of Nicola Aubrey: An exorcism of 29 demons out of a young girl in 16th century France proves the reality of our Lord's Presence in the Eucharist and converts scores of Protestants. Dulling Disparity: A survey of how various cultures in the western tradition have attempted to deal with the problem of wealth disparity by cultural or legal structures that entrust the care of certain projects or individuals to the rich. Contributions of the Cluniacs: Four important ways the Cluniac movement shaped the medieval Church and civilization. Evaluating Private Apparitions: In an age when people are following absurd private apparitions of anonymous "prophets" on the internet, here is some sanity on how we are to judge whether a given private apparition has any legitimacy. Can a priest and people 'dialogue' during a homily? Latest liturgical quod libet on an irritating modern trend. "For the sake of our salvation": Revisiting the controversial passage in Dei Verbum 11 in the context of the reflections of Cardinal Bea (who actually wrote the document) proving that the Council Fathers intended the text to be interpreted in continuity with previous statements from Pius X, Leo XIII, etc. Also, in case you have not seen it or haven't had time to check it out, I have edited a book of St. Cyprian's writings for Arx Publishing, now available on the Arx website as well as on Amazon. The book is a complete compilation of all of Cyprian's works in English with apologetical footnotes (as opposed to the anti-Catholic footnotes in the Ante-Nicene Fathers). 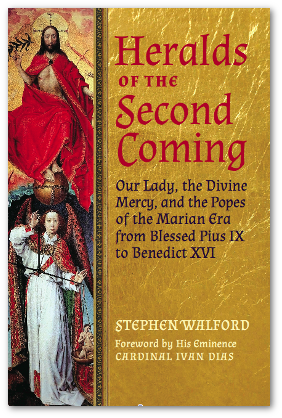 The introduction to the book was written by none other than Ryan Grant, formerly of Athanasius Contra Mundum.